Add the 12 in. 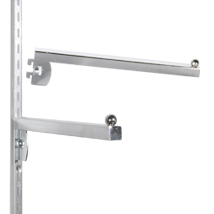 Square Tube Faceout to your slotted stand display for merchandising versatility. Fits 1/2 in. slots on 1 in. center slotted wall standards.